Patty Phelps’ described one of those common experiences in teaching – the sense of hitting a snag that is not just a matter of solving one or another problem, but of somehow being off-balance or just not quite in tune. She used the term “pietas of teaching” to describe what was wrong. The analogy to teaching is clear – as she said. If one only does the duties but lacks the devotion, fulfillment is lacking. Yet when the duties become very heavy, it is hard to find the devotion. Phelps said that her snag occurred because her devotion had diminished – and she recognized the need for an adjustment. Having hit a snag something like hers, I’ve spent part of my time this summer doing things to buoy up what I can now call my “devotion” to teaching. I employed some of the techniques she suggests (below) and a few of my own, which follow. Embrace a service perspective. Teaching is a profession of service. Devotion is restored by remembering that teaching is mainly about giving to others rather than getting for self. Go on a retreat. The giving entailed in teaching can lead to a need for time alone. The solitude and reflection helped me to refocus my energies. Talk with teachers.Sharing stories and feelings with a colleague (not as a gripe session) is a way to recover one’s devotion to the profession. Recall one’s initial motivation. What originally attracted me to teaching was a chance to make an impact and to be with young people. This reminder helped free the snag. Read a book on teaching. There are several possible choices: Ken Bain’s What the Best College Teachers Do, Parker Palmer’s The Courage to Teach, and Stephen Brookfield’s The Skillful Teacher are just a few. Attend a teaching conference. The Teaching Professor conference is held late each spring. Ask for a new course or revise a current one. Engaging in curriculum development activities can increase devotion toward the planning (i.e., creative) dimension of teaching. I’m writing this new blog from a small contemplative abbey in northern Colorado – my retreat. One of the books I brought with me is Ken Bains’ What the Best College Teachers Do , and I’m working on a new course for the Fall. Besides reading, though, I took the video cure this summer. There are dozens of excellent films where the teacher – often after a bad stumble – manages to create a community of learners where real excitement takes place. 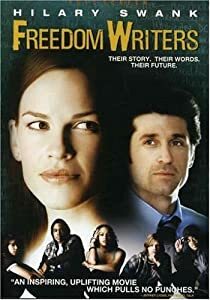 I watched The Freedom Writers and Stand and Deliver to good effect. The students are not particularly promising in either film – but discover depths within themselves and the excitement of the life of the mind that brings out the true depths of their humanity. That humanity is, I think, the secret of this pieta or devotion. A teacher can work very hard at the duties, be very invested in doing them well, struggle long and wonder why no magic happens. In both films, the “magic” occurs, not by effort, but by vulnerability: the teacher’s own humanity comes forward, and makes contact with the reality in the lives of the students. So – if you can’t get to a conference or retreat, and school starts too quickly to read a book, try a film. In addition to the modern ones, there are always the classics, like Goodbye, Mr. Chips and To Sir, With Love. Thanks, Sister Edith. I have been feeling that same sort of snag, and hope these resources will help me as the new semester starts.